National Stock Exchange is a premier stock exchange of India,situated in financial capital of India,Mumbai.NSE was established in 1990s by major financial institutions which include Life Insurance Corporation of India (LIC), State Bank of India (SBI),infrastructure Development Finance Corporation (IDFC) and ICICI Bank.This is one of the two major stock exchanges of India,the other being Bombay Stock Exchange (BSE).NSE provides the most advanced, fully automated, screen based trading terminal which is further updated time to time to make it fully capable of withstanding any technical glitches. 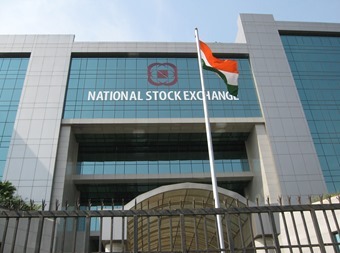 In the recent times,NSE has overtaken BSE in terms of total turnover of trades done on the exchange.NSE offers trading in Equity,Derivatives,Mutual Funds,Exchange Traded Funds(ETFs) and Currency.Recently.NSE announced trading in Volatility futures,the India VIX Futures.NSE also provides option to trade in the Index under the name of Nifty.Nifty Index is based on 50 shares large cap companies and is tradable as Nifty Futures and Nifty Options.Turnover wise trades done in Nifty remain highest on day to day basis. Trading on NSE commences from 9:00 AM 3:30 PM from Monday to Friday.9:00 AM to 9:15 AM is the session for pre-opening in which trading starts in high liquidity stock.After 9:15 AM,the normal trading starts,in which all the stocks listed on the exchange are tradable.There are some days of holidays which are notified by the exchange at the start of each new year during which the exchange remains shut and no trading happens.Exchange also carries on trading on some festival days during which otherwise there is a holiday or just to check the functioning of the trading system which are of very short duration (usually 2-3 hours). Nifty is a well diversified index involving 50 stocks which are traded at the National Stock Exchange.NSE keeps reviewing the index from time to time and stocks are added or deleted from the index as the NSE understands necessary but the number is kept fixed at 50.Nifty values reflect the changes in the prices of those underlying 50 stocks. Nifty in itself is tradable at NSE.The highest volume of trades at NSE happens in Nifty Futures and Options.The trading in Nifty provides much needed Portfolio Hedging Tool to the investors against any untoward moves in the stock markets.Apart from that Nifty Trading gives versatility to trading arsenal of the market traders via Nifty Futures & Options.